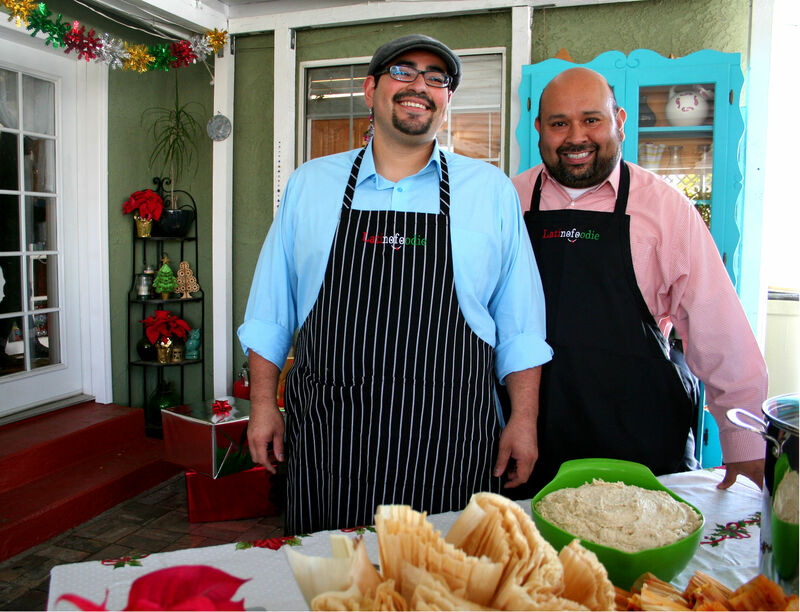 Before we talk about all the fun we had at the tamalada sponsored by Princess House and the Latina Mom Bloggers group, stop and take a look at how cute we look in our new aprons that a friend gave as a wedding present! We’re ready to work on the tamal line for the first-ever Princess House Tamalada in East Los Angeles at the home of our blogger friend Nicole Presley of Presley’s Pantry. 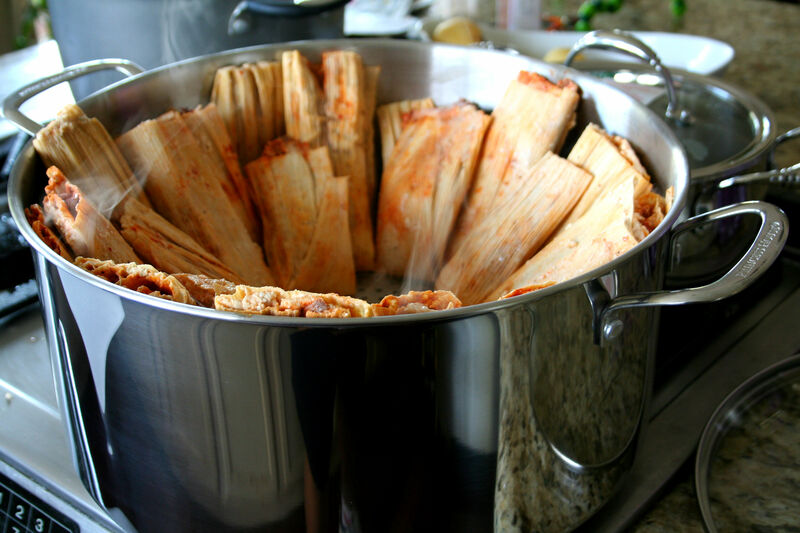 Every experienced cook knows good tamales certainly depend on some good techniques, but also the perfect stock pot. And, we learned Princess House has some of the best quality stock pots for steaming our tamales. If you want to buy your own stock pot from Princess House, go to their website and fill out the information. A local distributor will be in touch with you. It is so simple and easy. 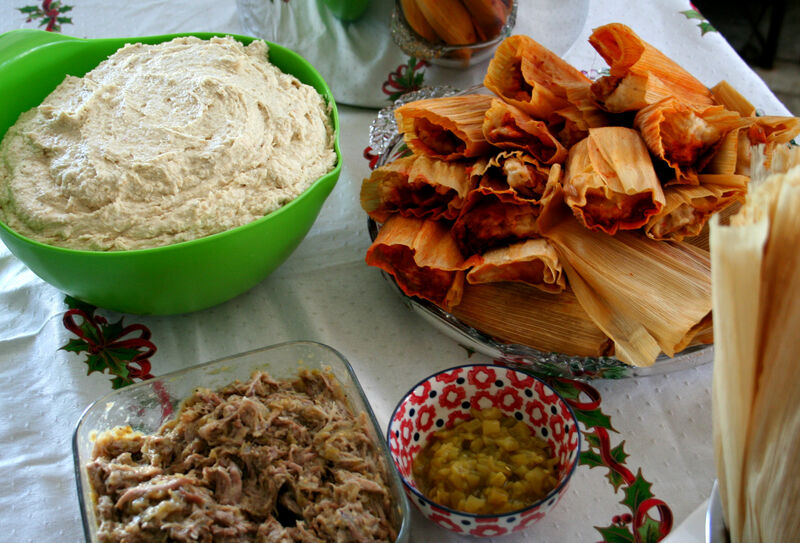 The holidays are synonymous with tamales, one of the favorite dishes of Latin America and around the world. Whether you like the tamales from a region of Mexico, El Salvador, Puerto Rico, Bolivia, Colombia, Argentina, the truth is that everyone has their own treasured recipe. 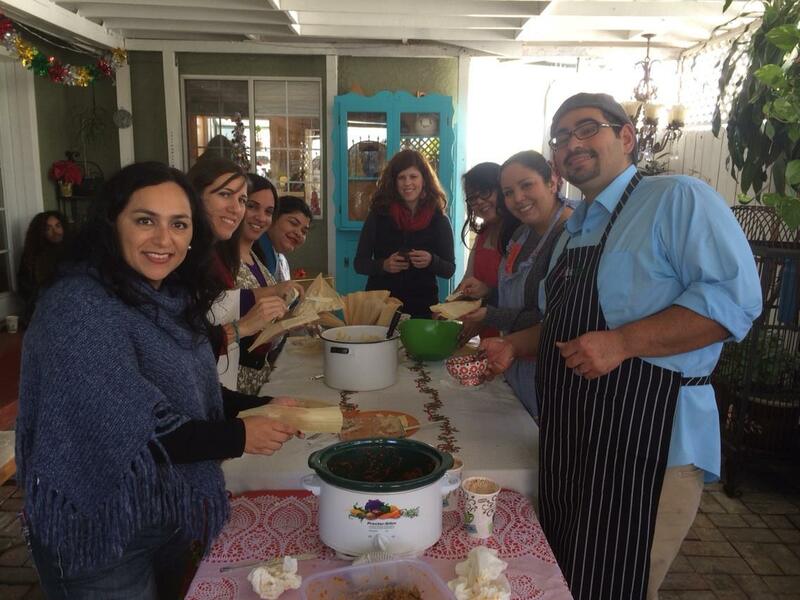 We want to share a few tips we learned at the tamalada that can help you improve your tamales. And for those of you intimidated by the entire process, hopefully these pictures and tips will inspire you to make them at home this holiday season. 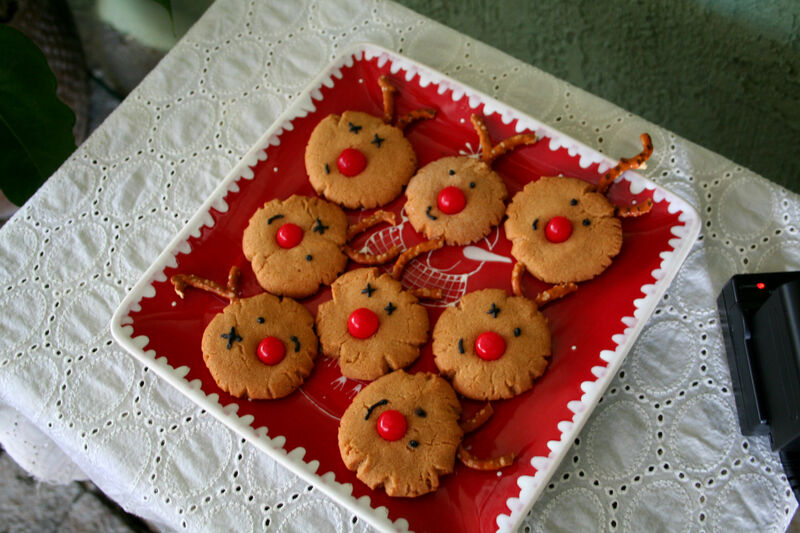 You can always invite LatinoFoodie over to show you how to make them. We just ask that you provide the cocktails! 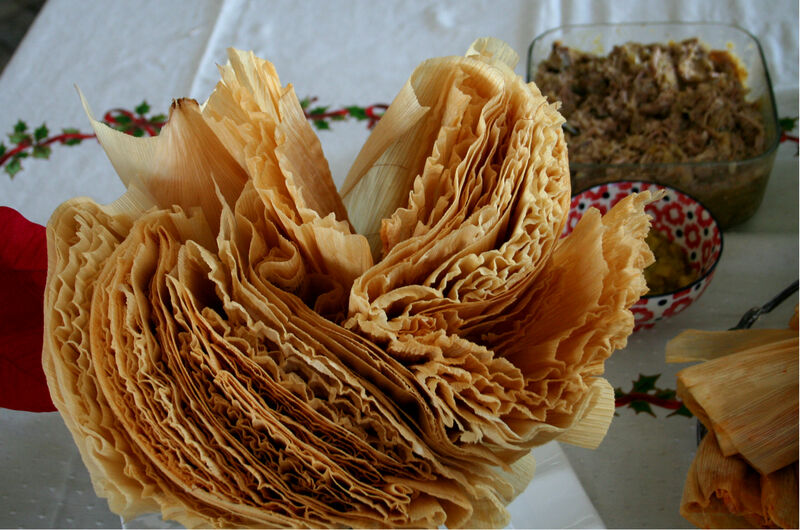 Tip #1 — The leaves are a key element when it comes to wrapping the tamales, whether you use corn husks or banana leaves. These consist of sides, the smooth and the rough side; the dough should be spread on the smooth side. Why? So when the tamale is cooked it slides right off onto your plate. We learned from Chef Juan Mondragon of Juan’s Restaurante in Baldwin Park, el rey del tamal, that soaking the leaves from the night before with a pinch of salt helps to soften and gives a rich flavor to tamales. Tip # 2 — It is important to cook the meat thoroughly with the spices, regardless of what type of meat you use or vegetables. It’s the only way that the filling for your tamales will get a rich flavor and taste and will mix with the dough. Tip # 3 — Dough is the capsule of the tamale and we know that everyone has their own recipe. I like to leave aside some of the prepared chili and stir it into the dough to give it a little color and also add the rich flavor of the spices. I let the dough sit for a couple of hours before preparing the tamales. Tip #4 — Now, to achieve the perfect texture and a delicious taste, you must have a good steamer. A base like this helps us to have the perfect amount of water and the layers of this Princess House stockpot helps maintain the recommended level of water and avoids burning and therefore leave a bad taste in the tamales. Also consider that tamales need enough room for steaming, therefore you must use a pot that’s the right size according to the amount of tamales you’re cooking. 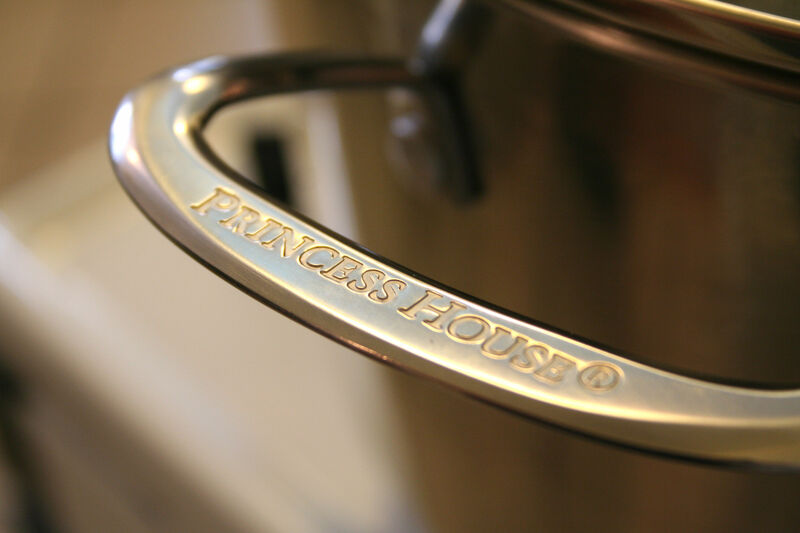 Princess House offers so many sizes of stockpots, there’s sure to be one to fit your needs. Invest in a good pot that will allow you to enjoy your tamales for years. 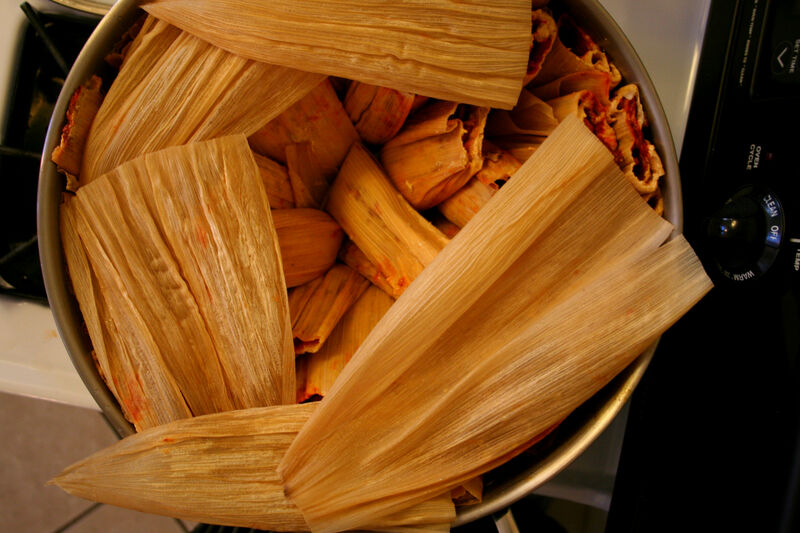 Tip #5 — Finally, make sure you stack your tamales properly for even steaming. 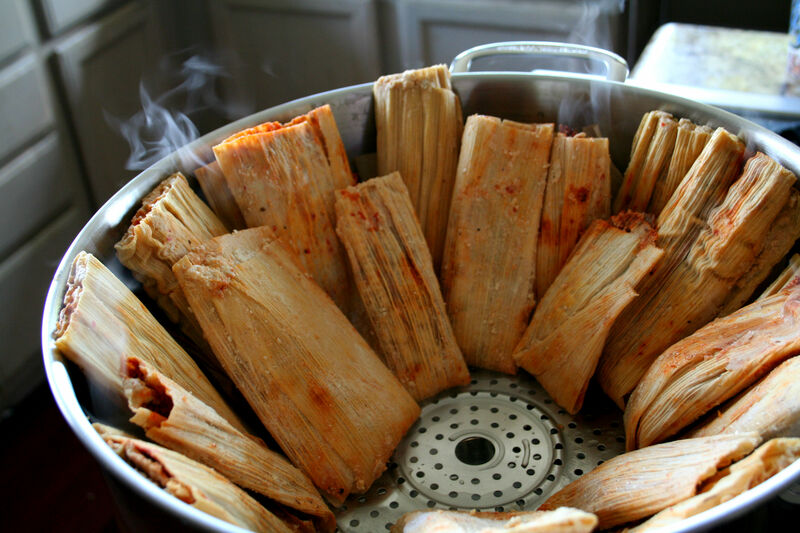 Tamales that are open need to be placed vertical in the pot so no ingredients spill out. 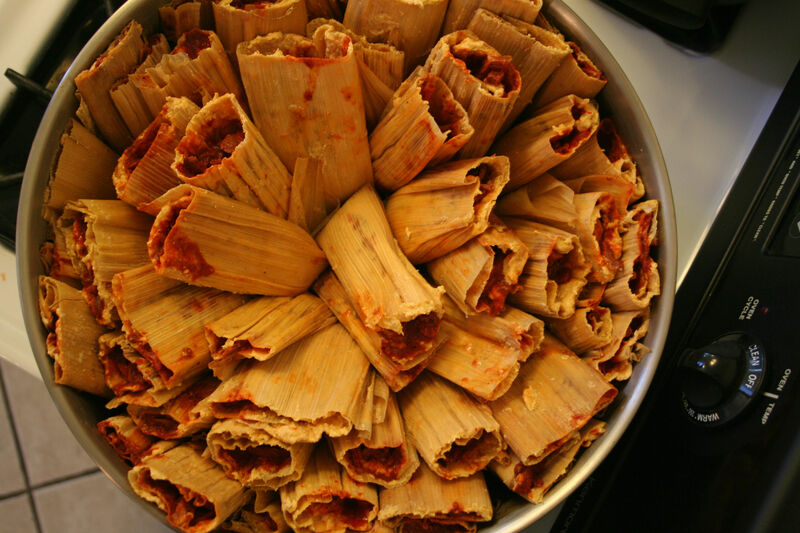 Tamales like Salvadoran or Guatemalan-style tamales that are sealed can be stacked. I recommend you cover them with a damp clean cloth and aluminum foil to encourage good steaming. Thank you, Princess House, the beautiful 18-quart stock pot that will work marvelously to cook our menudo for New Year’s Eve and the crudo the next morning. 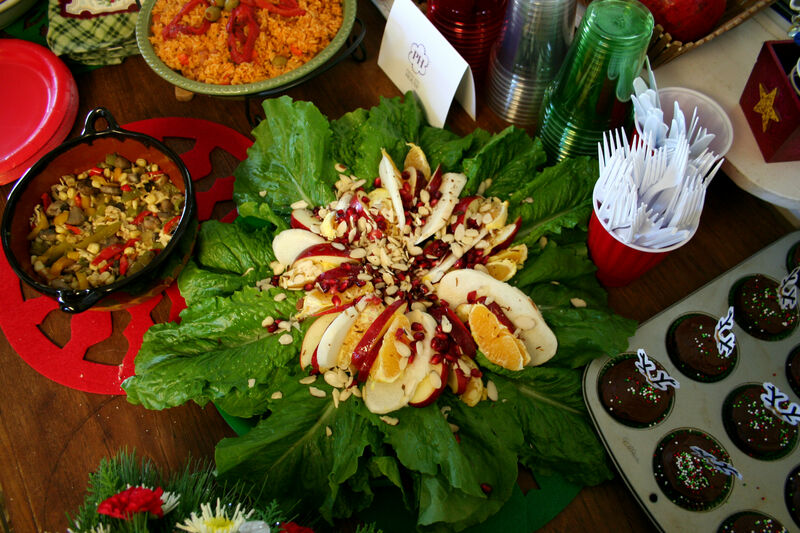 Wishing everyone a tamal-filled holiday season!! Don’t forget, you call one item a tamal and multiple items tamales, but never “tamale”. This is part of a sponsored campaign with Latina Mom Bloggers and Princess House. However, all opinions expressed are my own. Oh my I had so much fun and your tips are just awesome! 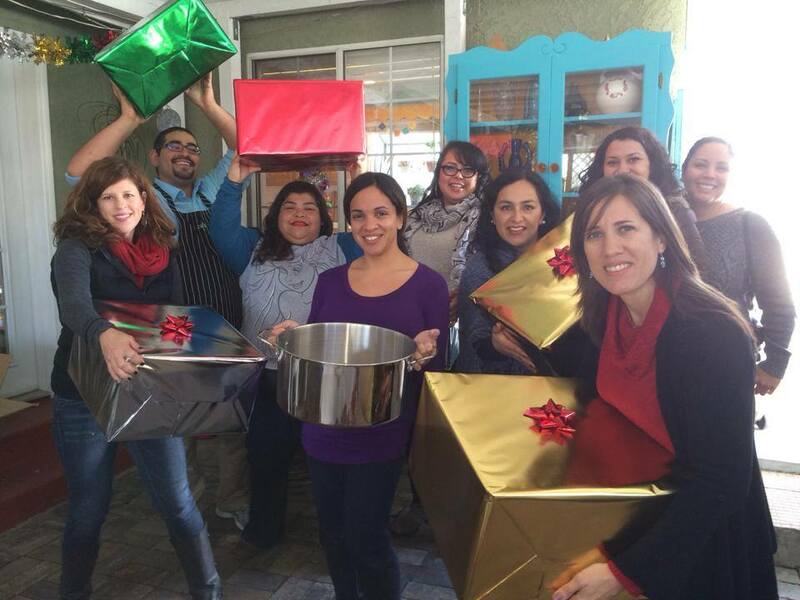 Thank you for a wonderful day of making tamales!